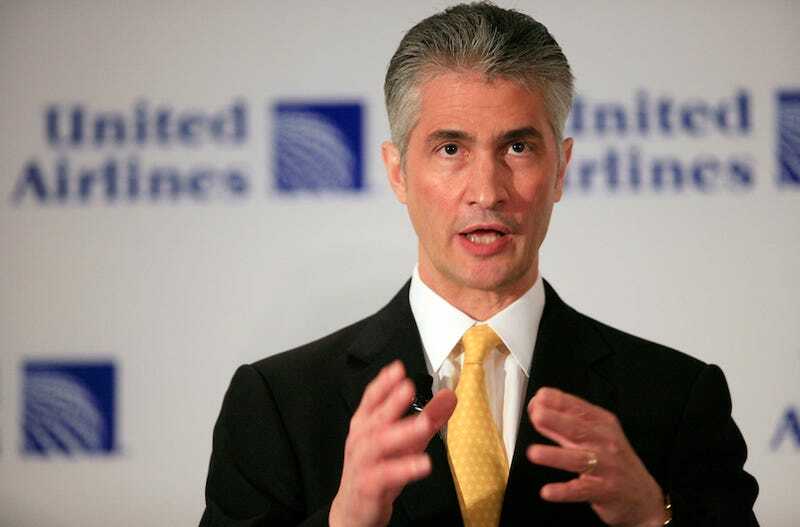 United Airlines CEO Jeff Smisek resigned abruptly yesterday amid allegations of wrongdoing in his dealings with David Samson, the former agency chair of New York City-area airports. And the best part of this new scandal is that it can trace its roots back to last year’s bridge closure scandal in New Jersey! The crux of the claim against Smisek is this: Shortly after David Samson took his leadership role with the Port Authority of New York and New Jersey, United Airlines started offering a flight from Newark to Columbia, South Carolina. Mere days after Samson resigned from his post in March of 2014, (after the bridge closure scandal consumed the media) those United flights between Newark and Columbia ceased. David Samson speaks at a Port Authority of New York and New Jersey meeting in March 2014. Now, here’s where things start to get shady. According to news reports, Samson (who is also the former New Jersey Attorney General) maintained a vacation home in Columbia, and during the time that United was operating that flight from Newark to Columbia, Smisek was seeking opportunities to cut costs in the wake of the merger with Continental Airlines (Smisek was the former CEO of Continental). Smisek sought a reduction in United’s lease for their facilities in Newark, so he persuaded Samson to support their case by operating the flight from Newark to Columbia — giving Samson a direct and expedient access to his vacation home and back to New York. It is important to note that Smisek hasn’t yet been accused of a crime — he just remains under investigation, although his swift exit could signal that there’s more dirty details on the way. Either way, this news isn’t going to help United’s reputation, not to mention the public’s abysmal perception of the New Jersey government.